This is another one of those “what if” photoshop quickies. 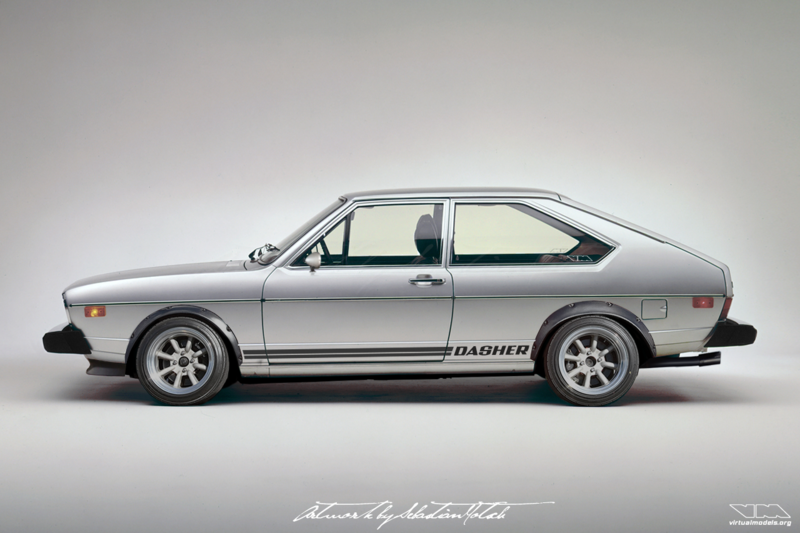 What if somebody would take a USDM Volkswagen Dasher 2-door sedan (Passat in other markets) and modify it? Slap on a set of overfenders, mount a set of coilovers and wheels in a size that has never been intended to be used on a front wheel drive car. Replace the anemic original engine with a 1.8T with a bigger turbo setup and build an exhaust with motorsport components. Once finished you should have a pretty fairly decent, water-cooled, Volkswagen. I suppose it’s safe to wager a bet that it would be the only such vehicle at any VW meet. Is there anyone crazy enough to tackle this build and take it to the Wörthersee next year? Sometimes a random memory sparks something. In this case I remembered, for some reason or another, that my French teacher once used to drive a very un-cool dark blue Volkswagen Santana Mk1. I searched the web for a suitable picture to use as a base – and got carried away… again. The Volkswagen T1 ViteCrete Dragster is a five minute chop, just for fun. Inspired by the recent visit to the Nitrolymp’x and the dump truck I created yesterday. The Volkswagen T3 is on the best way to become a classic car icon, like all the previous VW transporters. The base model has been modified into a 4×4 version, called syncro. It still looked a little uninspired, so I decided to change the color to something more eye-catching. 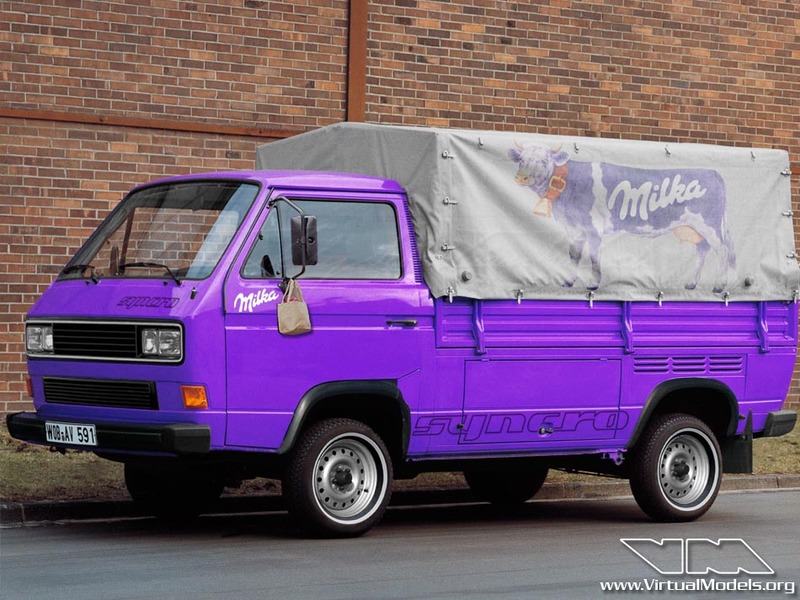 The Milka theme came to mind and has been realized. The tarp looks like it has been carried over from a well-used truck, contrasting with the freshly painted sheetmetal. 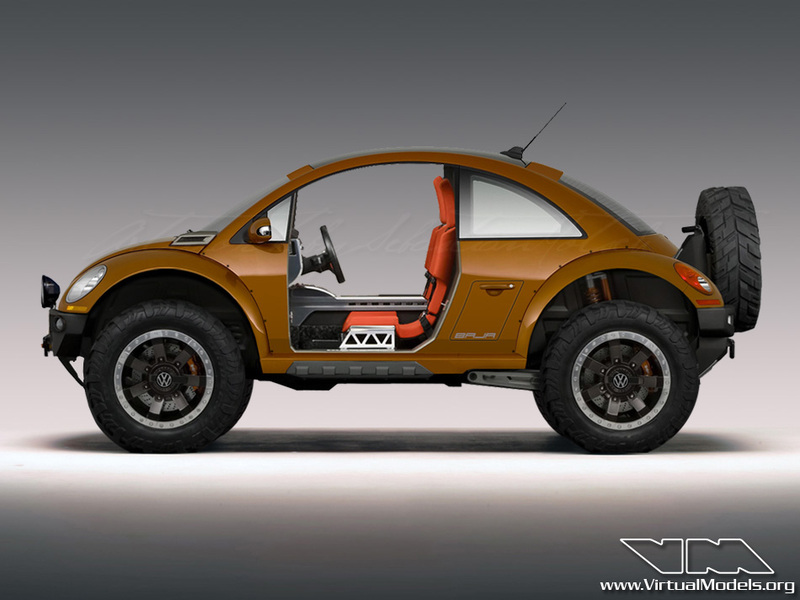 Alongside the Mustang BAJA concept, I worked on a BAJA-style vehicle based on the Volkswagen New Beetle. 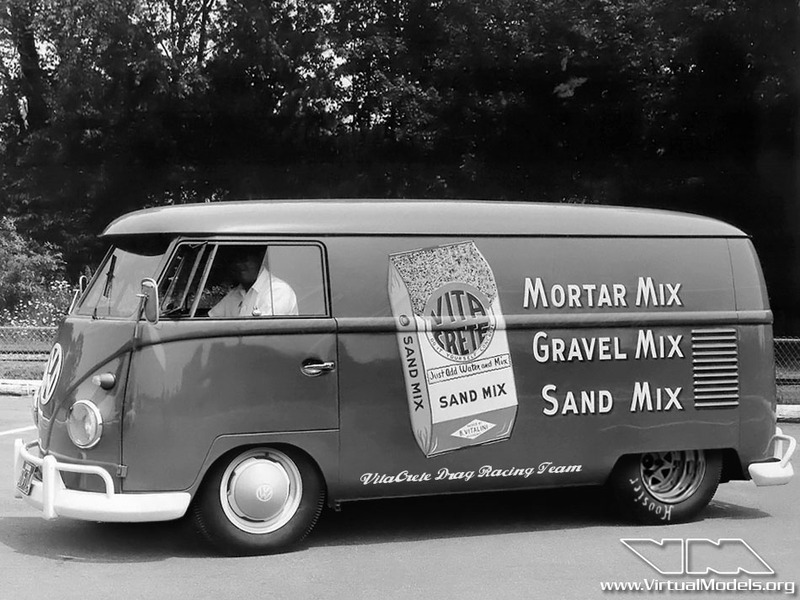 This vehicle was not only inspired by BAJA racers, but also by the beach buggies based on vintage Beetle chassis. I used the underpinnings from the Hummer HX concept car and modified it to fit under the New Beetle body. It’s not as a agressive as the Mustang BAJA I posted last week, but then – have you ever seen an agressive looking New Beetle? That’s downright impossible, lol. With the 2012 Woerthersee Festival being held next weekend, I decided to post a couple of Volkswagen and Audi themed photoshop chops. Click here to see the modified vehicles. Das Wörthersee Treffen 2012 findet nächstes Wochenende statt. Deshalb habe ich mich entschieden, zu diesem Anlass ein Wörthersee Special mit modifizierten Volkswagen and Audi zu veröffentlichen. Klickt hier um die modifizierten Fahrzeuge zu sehen. After a couple of years fiddling around with this picture, I decided to call it a day and get done with it. The picture is by no means perfect, but you get the idea. 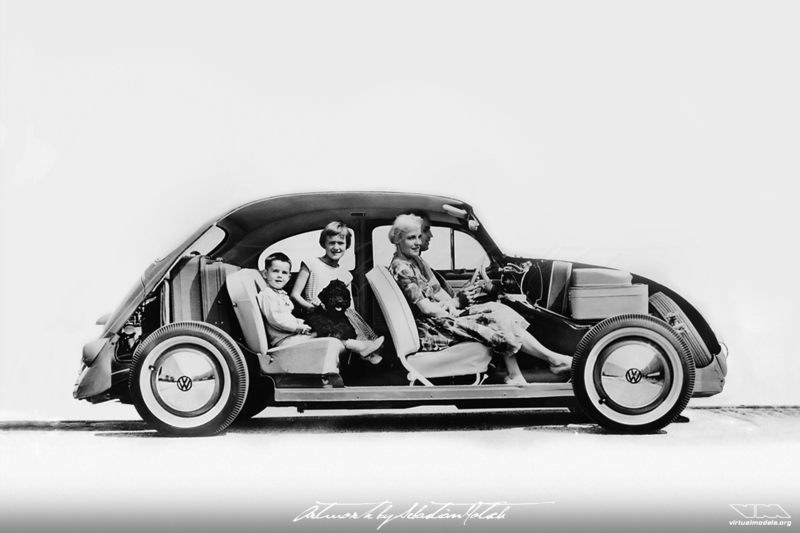 The inspiration was a discussion among friends about the addition of Porsche parts to classic Beetles. Why shouldn’t somebody try this with the New Beetle? This would, of course, be limited to body parts mostly, as the layout of the drivetrain is quite different these days. 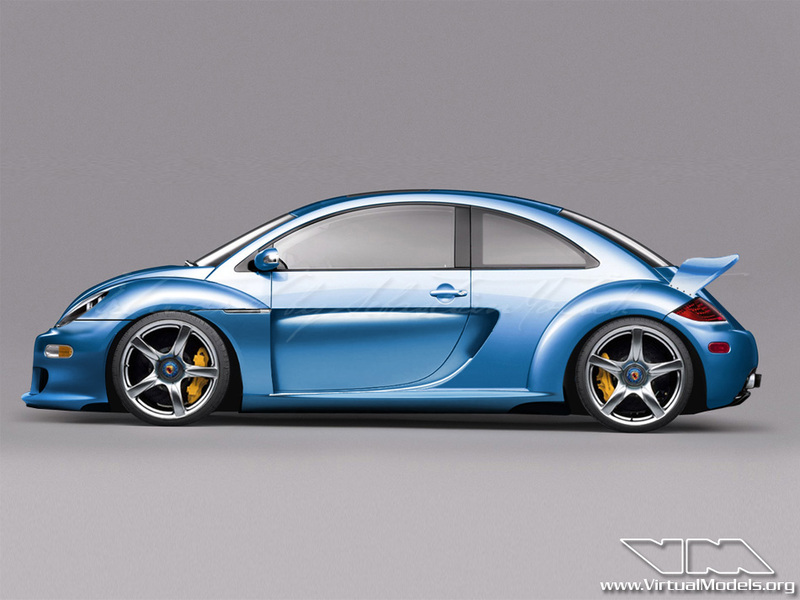 So I set to work and tried to fit the body panels from the Porsche Carrera GT to the New Beetle. It did look horrible, to be honest. So, a top chop was in order to get the proportions at least halfway right. I’m not 100% satisfied with the result, but decided to post it here anyways. So what are your thoughts on that conversion? Please leave feedback below, thank you. In 2011 you can still buy a Volkswagen Jetta Mk2 in China. That’s almost 30 years after the first Mk2 Jetta has been sold in Europe 1984. Modernized with all the current VW styling cues, the latest facelift has transformed the Jetta Mk2 into a handsome car. Quite nice, isn’t it? Yes, you might say, but definitely lacking power. Well, the standard engine has been replaced with the 2.o liter engine of the Mk6 Golf GTI. In order to make the car more attractive and sportier looking, I added a redesigned front bumper, side skirts and rear bumper. The car has been lowered and a set of MTM alloy wheels have been installed. Do you also think the crowds at the 2012 Wörthersee festival would love it? Write a comment and let us know. 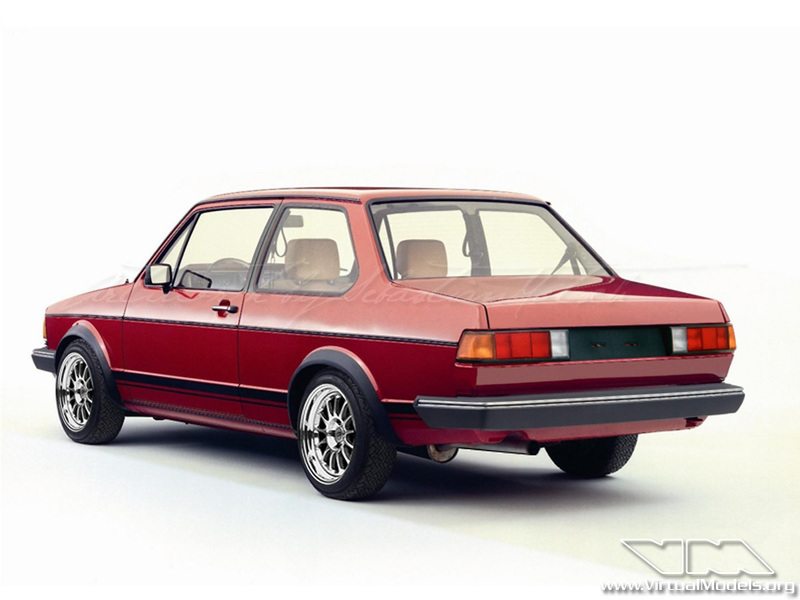 This Volkswagen is called Fox in the United States and Gol in Brazil, where it was built. 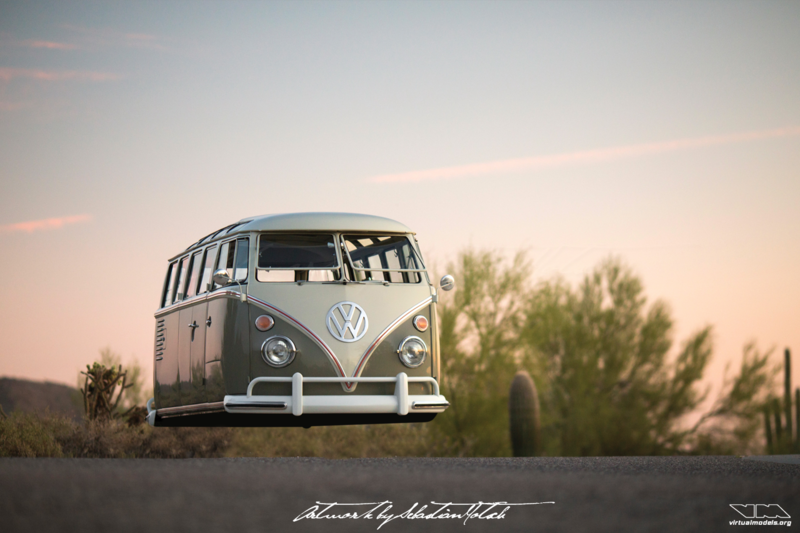 I kept this one very simple – dropped over oldschool steel wheels with whitewall tires. Actually, this was just a quickie, done in roughly an hour on a rainy sunday afternoon. This is what my friend Gerd’s Volkswagen TL could look like. Some quick modifications in photoshop show the potential the car has. Fans of stock TLs don’t need to worry, though – the car is not going to be modified in real life. 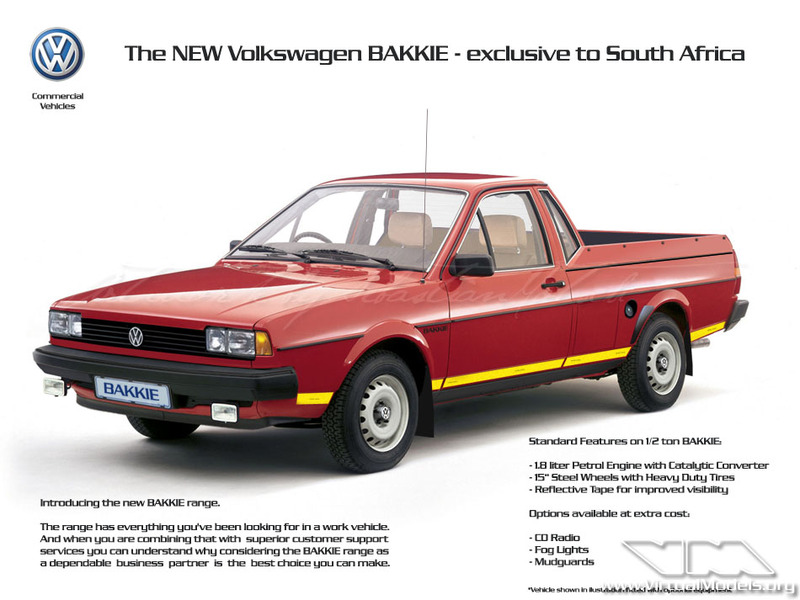 The new Volkswagen Bakkie was introduced to the South African market on April 1st 2008. It is based on the Passat Variant and succeeds the Golf based Volkswagen Caddy Mk1. Info: South Africans call pick-up trucks Bakkies. They are called UTE in Australia. The Volkswagen Jetta Mk1 was neither a sporty nor a very elegant vehicle – but little modifications sometimes go a long way. I added the taillights from a Scirocco Mk2, extended the fender flares, lowered the ride height and added alloy wheels. 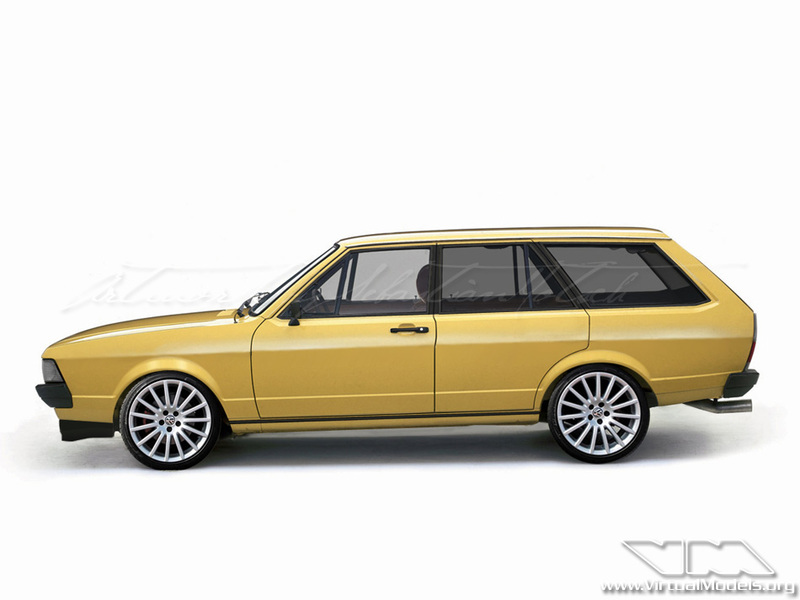 Done, simple as that (and it even gives the rear a hint of BMW E21). Another car from my childhood: the Volkswagen Passat Variant 1B Type 32. I cleaned the body a little, lowered the car and added wheels from a modern day Polo GTI.